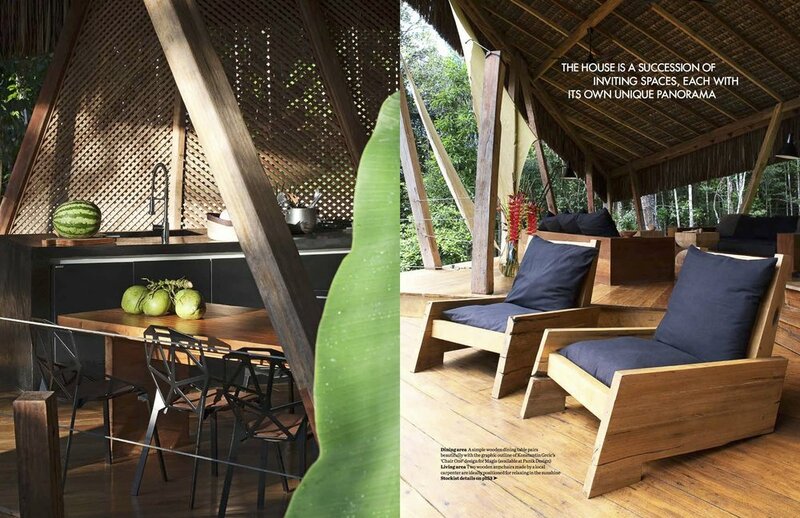 Open to the elements on all sides, the house is a series of platforms and a canopy, constructed entirely from ancient, recycled wood and featuring a traditional piassava roof made of palm leaves, which was hand-woven by local artisans. It’s set high on slanting wooden stilts so it’s perfectly positioned to make the most of the cooling sea breezes and the incredible views of the surrounding forest. 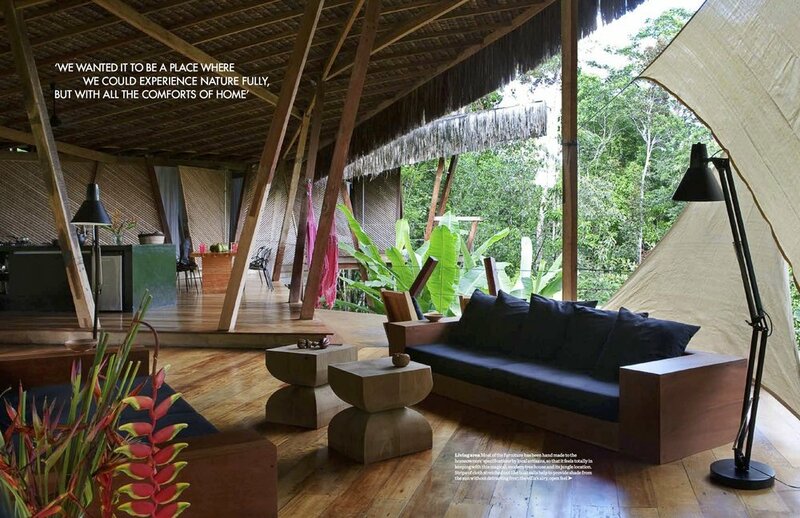 ‘We wanted it to be a place where we could experience nature fully, but with all the comforts of home,’ say the couple, who commissioned Christoph Kellenberger of architectural practice OOS to help realise their vision for their jungle hideaway, which was built by Brazilian craftsmen, entirely without machinery. ‘As the house is located on a hillside, it was clear that we needed to raise the structure up,’ Patrick says. ‘And after visiting the area a few times, we realised that we’d rarely have the inclination to spend any time in an enclosed space as we wanted to be outside all day. So that’s how we came up with the idea to build a large canopy- like roof and use the trees around the house to create a feeling of protection,’ he explains.